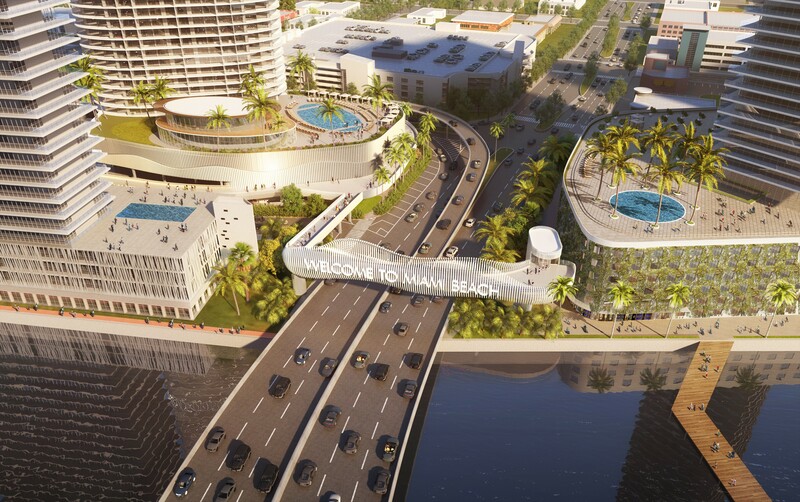 As part of the development agreement for the 500-700 blocks of Alton Road, the City of Miami Beach gets a new park and a new pedestrian Bridge crossing over the busy 5th Street/MacArthur Causeway entrance to the Beach connecting the baywalk on either side. Developer Russell Galbut said he and his team have met on several occasions with the Secretary of the Florida Department of Transportation (FDOT) as 5th Street is a State Road and FDOT will need to sign off on the bridge. 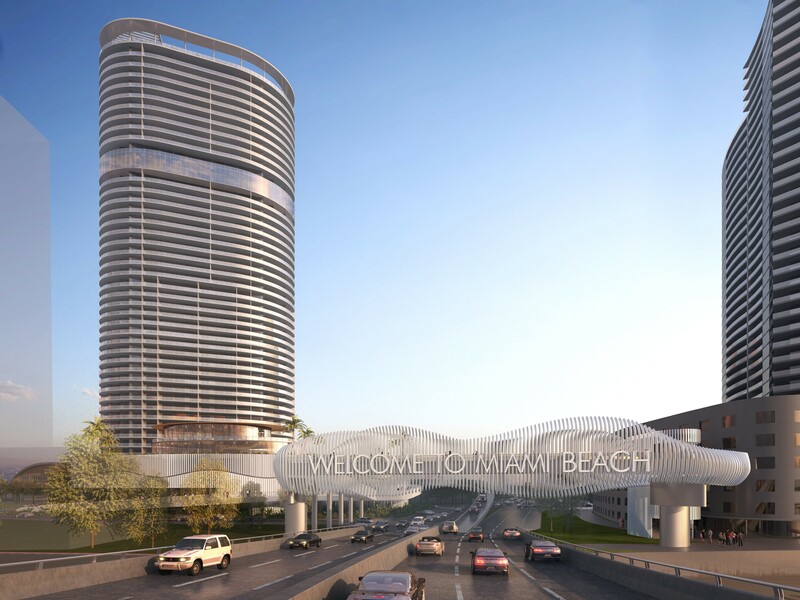 At the May Design Review Board meeting, the full project will be presented – the tower, retail building, park, and bridge. 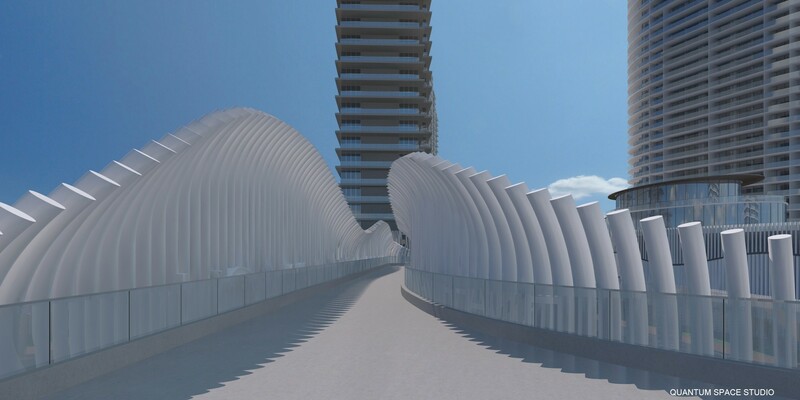 Today, we give you the first look at the Baywalk Connector Bridge designed by Arquitectonica. 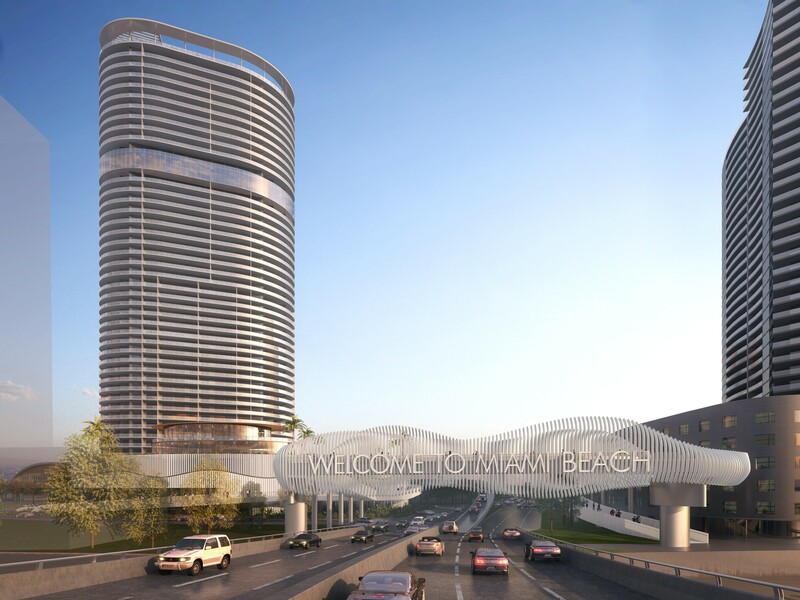 It includes two options: one with an ADA accessible ramp on the south side and a second option with an elevator.